As a dentist, it’s one of the most frequently asked questions. Most people do not fully understand what it is and how they can prevent it. Here’s a basic overview — what you should know about gum disease (periodontitis) and gingivitis. You may hear the terms gum disease, periodontal disease, periodontitis, and gingivitis used interchangeably. Gum disease is another name for periodontal disease – or periodontitis. Gingivitis is a separate condition that precedes periodontal disease or gum disease. With gingivitis, bacteria in plaque build-up results in the inflammation of your gums. This can make your gums sore and bleed easily. If gingivitis is caught during this early stage, then action can be taken to prevent further damage. If left untreated, then gingivitis can progress to periodontal disease or gum disease. The inner layer of the gums and the bone pull away from the teeth. Pockets then form, which collects debris and becomes infected. Eventually, bone and connective tissue begin to break down, resulting in loose teeth – or even the loss of teeth. At the top of the list is bad oral hygiene. Not brushing regularly and not flossing can increase your chances of developing gum disease or gingivitis. Regular brushing and flossing may not be enough to prevent gum disease. It can also be brought on by hormonal changes and illness. You also need to pay attention to what you eat and avoid bad habits, such as smoking. Regular checkups can help detect gingivitis during its early stages, which will make it easier to treat the problem before it spreads. Gum disease is the most common dental problem that adults face. Over two-thirds of adults over the age of 60 suffer from it. There are over 3 million new cases of gum disease in the U.S. every year. People who do not take proper care of their teeth and gums are more likely to develop gum disease. However, a family history of certain types of dental disease can also increase your chances of ending up with gum disease. There are certain methods that you can use to stop gingivitis and gum disease from spreading. You may even be able to begin reversing the damage of gum disease. First, you will need to ensure that you are properly brushing your teeth. 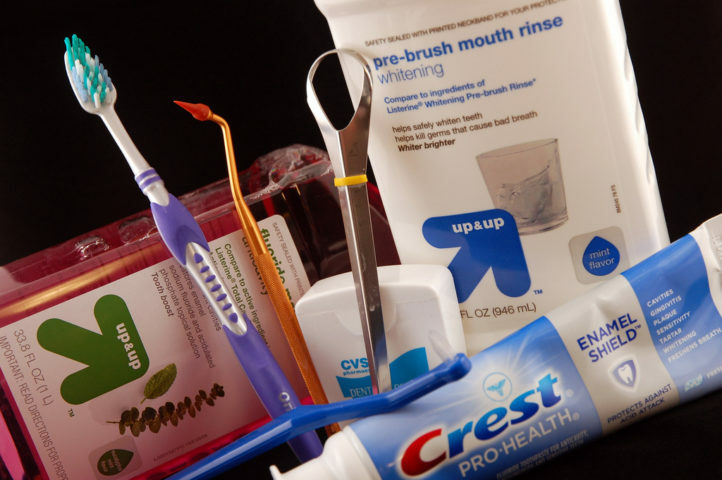 There are also over-the-counter products that promote healthier gums that you can use. Toothpaste and mouth rinses that are designed to fight bacteria and plaque should be used. You can find these in the same aisle as your regular toothpaste and dental products. In addition to steps that you can take at home in order to reverse the signs of gum disease, your dentist can also offer assistance. The treatment involved will depend on the severity of your problem. A thorough dental cleaning can help remove plaque and tartar — which could stop gingivitis from spreading. It’s a one-time procedure (as part of your regular 6-month dental check-up). As a dentist, one of my goals is to educate my patients. Not only does a dentist treat your dental issues, but we also help you learn how to care properly for your teeth so that you can prevent these issues in the first place. Gum disease is one of the leading dental problems that adults face. Remember these suggestions and don’t forget to schedule a regular dental exam with your dentist.